It’s not at all a secret that Foreign Exchange is one of my favourite groups. But when one of your favourite groups decide to do a complete overhaul and shakedown of their line-up, it’s a bit earth shattering really. Especially when you feel the formula that was previously honed and crafted meticulously is being interfered with. However, with growth comes change. 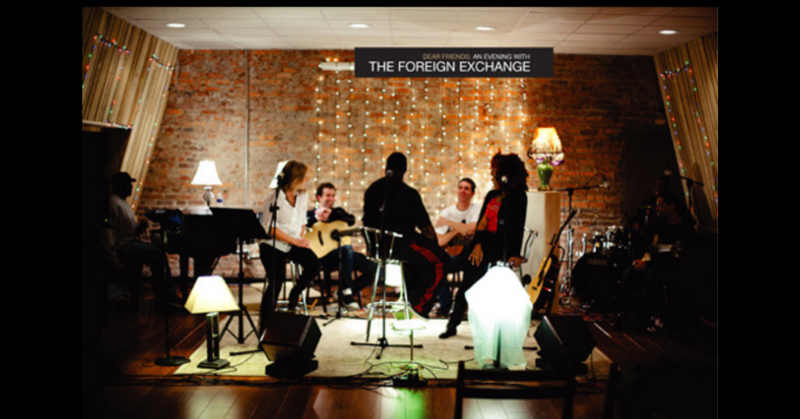 And this change is showcased on Foreign Exchange’s recent release Dear Friends: An Evening With Foreign Exchange. In the new transformation enters Sy Smith and Jeanne Jolly – two accomplished artists in their own right. The two join FE members Zo!, Phonte and Nicolay on tour and on this live acoustic album. The album gives everyone a front row ticket to the encapsulated magic that is produced at an FE show. Do remember it is an acoustic set, which is nothing even remarkably close to their shows. But it is a hot acoustic set. Personal favourites “Take Off The Blues,” “House Of Cards,” “Greatest Weapon Of All Time” and “I Wanna Know” will make you remember why you became a fan in the first place and will definitely garner FE new fans altogether. Phonte’s cover of John Taylor’s “Something In The Way She Moves” fits right in with the program. The unfortunate revamp of “Daykeeper” is the only ear sore on the fantastic disc, completely throwing out the beautiful composition of the original and opting for a Grand Ole Opry style, slapstick interpretation with an additional chopped n’ screwed ending. Jeanne Jolly’s voice is beautifully laid out on “Steal Away” and the ’80s and futuristic sound of King (Paris & Amber Strother) coupled with Phonte on “All The Kisses” is a synth-infused dream. Foreign Exchange never disappoints, it’s just built in the group’s DNA. There are always plenty of goodies that come from this camp. We’re all looking forward to what else is on the horizon. But for now, enjoy the ride with Dear Friends.